So this week, baseball season started for my son. He is 10 and considered one of the “older kids” on his 10U team. We took him to some lessons earlier in the year to get ready for this season. His swing is greatly improved and he is actually catching and throwing better than I have ever seen him. I am so proud of him. Last night at practice (the second practice of the season), the coach had him working on his pitching. He could use some work there. Pitching wasn’t something we had been terribly concerned with. The only sad thing is that we have just eight kids on the team. So if someone fails to show up to a game it is an automatic forfeit. I think the games that I am off of my day job for I am going to offer to drive any kids that need rides. We cannot afford to have a season like last year where kids weren’t showing up because the parents didn’t feel like driving to some of the games. I don’t understand why you would sign your kid up for something and then not follow through with it. The lessons we are teaching our children when we do those things are not good. This is a world where if you don’t put forth 110% effort, you are likely to be left behind. I worry about the kids whose parents let them skip out on practices or games just because they “Don’t feel like it”. I am unable to attend the Monday practices because of my day job. I intend to be at every practice or game that I can attend. Last night I was able to work on batting stance and swinging with almost all of the kids from the team. We then worked on catching both pop fly balls and grounders. Having watched some of these kids play on T-Ball the previous years, or even on the 10U team last year has been a pleasure. Some of them have greatly improved from last year. I am looking forward to this season. To go with this have came a great article my wife found. 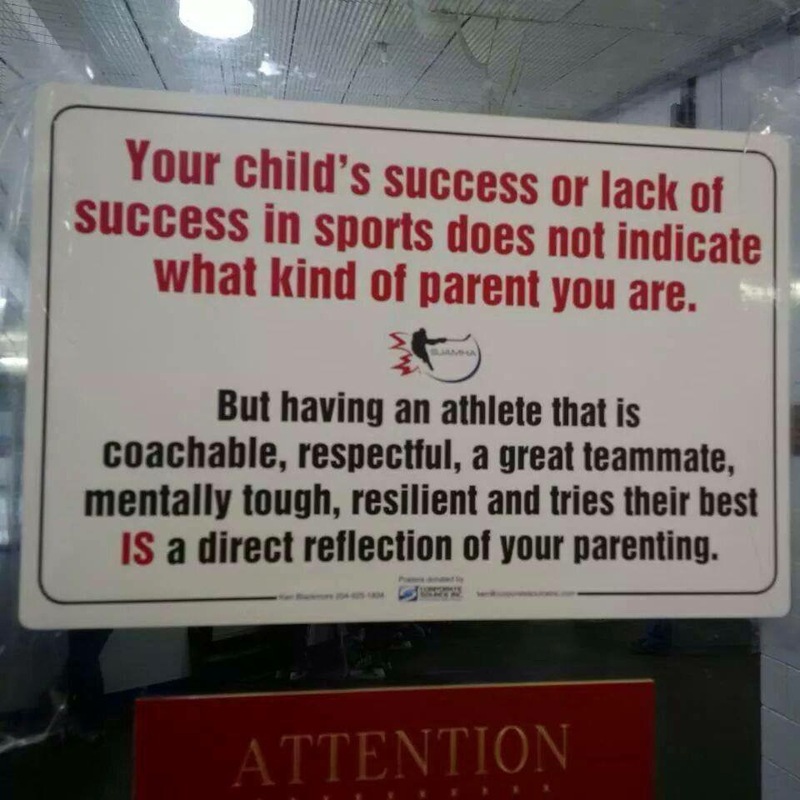 And a picture from one of the other sports moms that I really like. I just want to state that I in no way own the link or the image. If I can find whomever I should credit for the image, I will certainly update this post with that information.